If you're in a business that uses a lot of linens, then finding a good deal on wholesale towels and washcloths is mandatory. It's important to find a set that matches in order to stay consistent throughout your décor. It's also critical that the fabric they're made from is soft and absorbent, as towels and washcloths are a creature comfort that guests will remember after staying with you. Another consideration is that they need to be made from a material that is durable enough to last through large loads in industrial washing machines and throughout the life of your business, as you don't want to be reordering them all of the time. If you're in the hospitality business, guests are going to remember any fabrics that they use when it comes to things like towels and washcloths. They want to feel comfortable and pampered after stepping out of a shower or bath, and don't want it to feel like sandpaper when they go to dry themselves off. Investing in a set of quality towels and washcloths could be one of the things that get your guests thinking positively when they come back to town and are considering which place to stay. While comfort is important, it's also important that you're able to get a lot of them for a good price. Towels and washcloths are relatively small, and it's not uncommon for them to turn up missing after a guest stays with you. You want to have enough on hand to be used by your full facility as well as plenty in stock in order to replace them once they inevitably go missing. 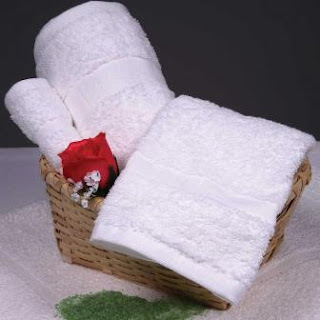 Finding a good price for wholesale towels and washcloths is just as much of an important factor as finding ones that are comfortable and soft. In addition to that, it's important to consider the build quality of the fabrics as well. You'll have to wash them regularly and will likely use powerful, large-sized washing machines to do it with powerful cleaning agents. You want to know that you won't have to replace them just a few weeks down the road, particularly if you've bought a lot. Towels and washcloths are an incredibly important part of any hospitality business, which is why it should take some time to do research on which ones are best for you.